Figures obtained from the Ministry of Defence indicate hundreds rather than thousands of jobs would be at risk. Labour has been accused of exaggerating the number of jobs that are under threat if the Trident nuclear deterrent is moved from Scotland. 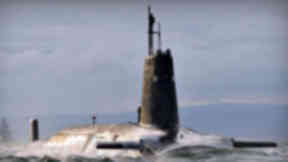 A Freedom of Information request by Scottish CND revealed that 520 civilian jobs at the Clyde Naval Base were directly dependent on the Trident programme. Labour MSP Jackie Baillie has claimed that 11,000 jobs could be at risk if the SNP goes ahead with plans to move the nuclear submarines out of Scottish waters. Shadow defence secretary Jim Murphy has also attacked the Nationalists for being "willing to jeopardising tens of thousands of jobs and a key part of our defence posture". Ms Baillie said the figure of 11,000 included all the employees of the Clyde Naval Base as well as thousands of local jobs that were supported by the facility. She said: "There are 11,000 people who are employed as a result of HMNB Clyde at Faslane - 6,500 directly by the MOD and the other 4,500 as a result of supply chain and local economic spending. "Whatever your views on nuclear weapons we have an obligation to those thousands of people who work at the base and in related industries." First Minister Alex Salmond has proposed making the possession of nuclear weapons illegal in an independent Scotland and including the ban in a written constitution. A report by the Scottish Affairs Committee last week said it could take 20 years to build an alternative facility off the coast of England if Trident had to be relocated from Faslane. John Ainslie, Scottish CND's co-ordinator, told the Sunday Herald: "Both Labour and Conservative politicians are trying to scare the public by exaggerating the economic implications of nuclear disarmament." Mr Ainslie obtained figures for civilian jobs at Faslane under freedom of information legislation. They identify a total of 159 Ministry of Defence jobs in Scotland and 254 jobs at Babcock Marine as being dependent on Trident, as well as 107 jobs at Lockheed Martin UK Strategic Systems. The exact locations of the Lockheed Martin jobs were not available. 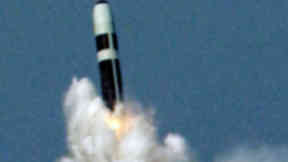 SNP MSP Bill Kidd said: "Diverting even £1 billion from Trident into infrastructure spending would create around 15,000 jobs: far, far more positions than actually depend on these missiles. "Jobs at Faslane would be protected in an independent Scotland, but as a major conventional base rather than a home to the UK's nuclear weapons." But Ms Baillie said the SNP were failing to be honest about their plans for the future of the Clyde Naval Base. "The SNP's plans to base the Scottish Navy at Faslane will not replace even a few hundred jobs, never mind 11,000," she said. 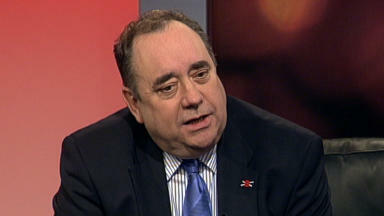 "It's time the SNP were honest with people. There are consequences to their actions which they just haven't thought through, preferring instead to hide behind simple assertion."